So cute , I can understand why the girls love them. That is so sweet. She must be a wonderful friend. 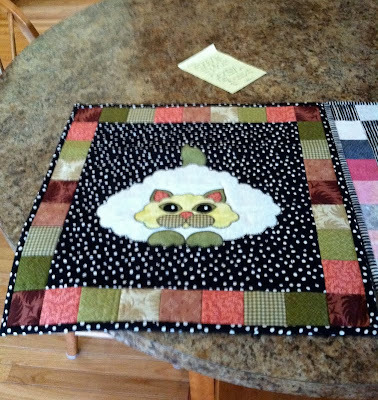 The quilts will be treasured for many years, I'm sure. Those are darling. What a good friend you have! I love things with cats on them! Sharon is a true friend - my own eyes misted as I read your lovely post, Linda! Love the kitty quilts, what a thoughtful thing to do for the girls. What a thoughtful gift! How nice of Sharon :-) This makes me miss my long distance friends. Those are darling - what a sweet friend! 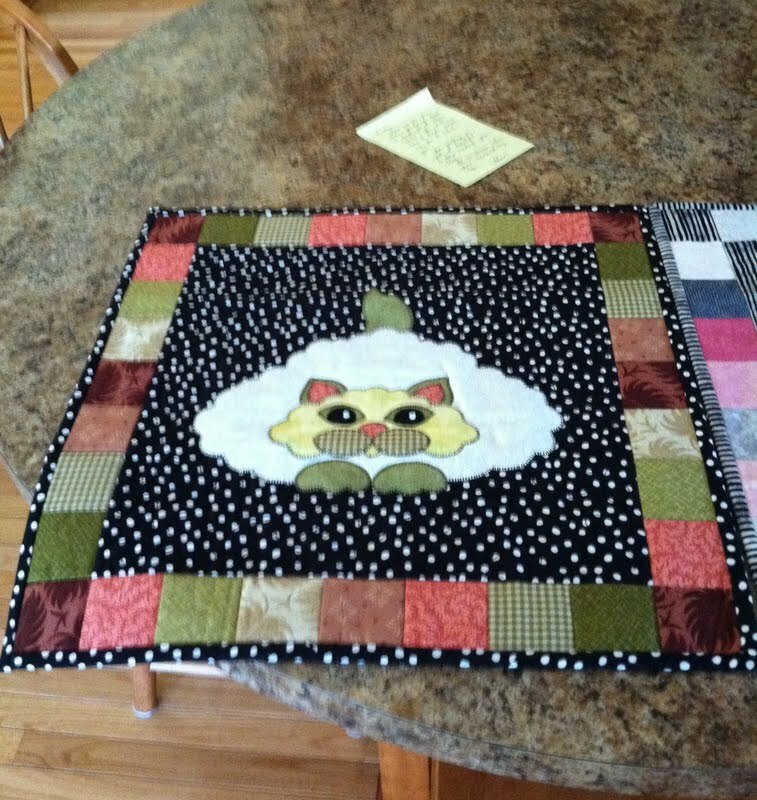 Such special quilts for the girls and so very nice of Sharon. How special! I have been eyeballing those patterns, they are just too cute. 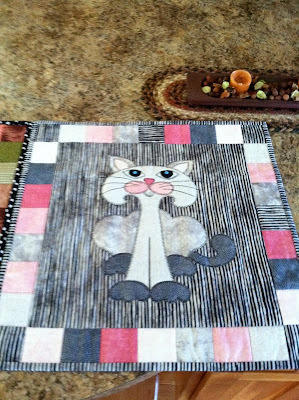 Those quilts just made me smile, they are so cute. I can see why your girls loved them. What sweet gifts for the girls. How sweet! What a great friend, and I know the girls loved them. Who wouldn't! Sorry you are missing her. It's good to have good friends!